Preparatory Ballet & Ballet Fundamentals classes combine a ballet structured class in a child-friendly setting. The curriculum focuses on development of musical and rhythmic awareness, memory and focus for the training process and understanding of the protocol and etiquette of the ballet studio. These classes prepare students entry into Elementary Ballet 1, which is part of the Lower School and requires a placement class prior to enrollment. Classes begin September 4, 2018. To enroll your student online: click on the desired class and fill out the required form and payment. To enroll your student by mail: follow the directions on the registration form and mail with enrollment fee. Click HERE for the TBCDE registration form. Please note that 7 year-old students enrolling in Prep Ballet 2 must have already completed Prep Ballet 1. Students enrolled in Ballet Fundamentals must attend both days listed for their class. Uniforms can be purchased at any Black and Pink Dance Supplies store. 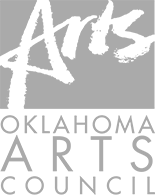 All Preparatory Ballet and Ballet Fundamentals students will receive two complimentary tickets to Tulsa Ballet’s 2018/19 productions of Creations in Studio K, Dracula and The Sleeping Beauty. Preparatory Ballet & Ballet Fundamentals students participate in an End of Year Performance. There are mandatory fees associated with this level of training. Preparatory Ballet 1 and 2 classes are 1 hour long and meet once a week. Ballet Fundamentals classes are 1 hour long and meet twice a week.